We offer several different options that will catch the eye of any player. Are you someone who likes a dark, classic look? Then our black option could be just what you need. This product can hold 25 items, and it is made from wood instead of cheap plastic. It mounts easily to the wall, so you can easily turn it into an eye-catching art piece in any room of your house. We offer this same golf ball display cabinet in a rich mahogany, for those who love the look and feel of wood. If you have more than 25 items that you want to show off, we also offer some larger options. Our middle option holds up to 49 items, and the biggest item that we offer in this category can hold up to 63 items. 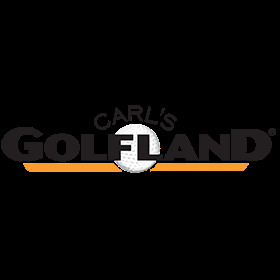 Any golf ball case that we offer would make a wonderful gift for that person in your life who loves the sport and already has everything else. If you have any questions about these or any of our other products, feel free to contact us. We are always happy to help you navigate our inventory and help you find the perfect item for yourself or the perfect gift for that special someone. Our main goal is to help all of our customers find items that will help them improve their game. We offer fast shipping on our items, so you will get your new product promptly. If you are worried about ordering an item online because you are not sure if you will love it, don’t be. We offer easy returns, so if you don’t adore your new item, you can send it back hassle-free.